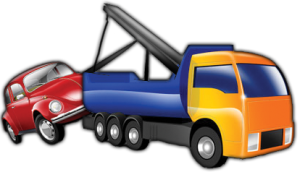 Car�Wreckers Can Help You to get rid of your unwanted vehicle Today! Cash for Car, Van, Ute & Truck�upto $11,000 cash! Car Wreckers | cash for cars team offer the best cash quotes in Ngongotaha and Rotorua. 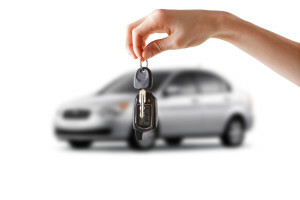 To find out how much cash you can get for your vehicle, You can�call�our team by using any of the methods below or get a cash for cars quote online by filling out the instant Quote form in your right hand side hassle free, and we will call you back as soon as your vehicle detail is available to us. Our vehicle removal team operate right throughout the�Rotorua and�Bay Of Plenty�region, from the North to the South and West to the East. To get free vehicle removal, just contact us using any of the methods above to book our team for your removal. They�ll be there as soon as they can! Click here to book free vehicle removal online. We�can have your vehicle removed for free from anywhere in�Ngongotaha�and we�ll pay you cash for it today. We Buy From cars to vans, 4WD vehicles and trucks, our�Rotorua team will take just about any vehicle in any condition. Check out Car Wreckers Rotorua and the bay of plenty page for more details. Car wreckers are Commercial buyers and wreckers pay top dollar for all makes and models of Trucks, Vans & four wheel drives. Just give us a call or email us using the contact form�in our�page of this site to get a quote for your 4�4. You can also get free removal and we�ll pay you cash when we arrive to pick it up. We Pay�cash for trucks plus free truck removal from anywhere between the�Rotorua and The Bay of Plenty �region. Just like with any other type of vehicle, you can get a cash quote and book a pickup by calling us or using the form on the right hand side. Find out more about our truck wrecking services here. From 1985 To 2015 any condition!! Toyota, Nissan, Mitsubishi, Honda,� Suzuki, Mazda, Isuzu, Audi, Renault, BMW, Chevrolet, Ford, Hyundai, Jeep, Kia, Land Rover, Mercedes, Volkswagen Volvo, Nissan, Fiat, Chrysler, Holden, Peugeot, Scania, Canter, Fuso vehicle we are buying for cash today. Check out our Auckland Toyota�wreckers page today�page for more details. top Cash Paid For Cars, Van, 4wd & Trucks Today!